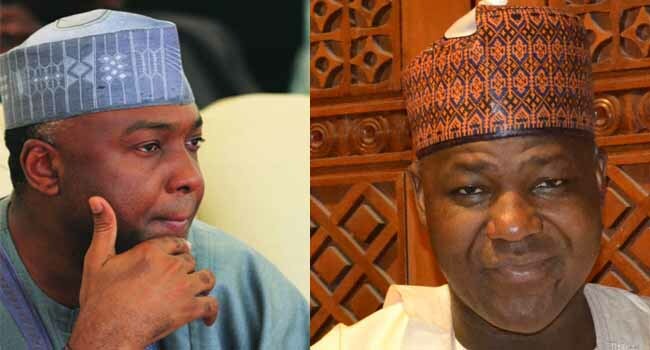 The Senate President, Dr Abubakar Bukola Saraki, and Speaker of the House of Representatives, Honourable Yakubu Dogara, have congratulated Muslim faithful across the country on the successful completion of the month-long Ramadan fast. In their separate messages to the nation on Friday, both leaders called for sustained prayers for peace in the country. Senator Saraki, in a statement by his Special Adviser on Media and Publicity Yusuph Olaniyonu, noted that despite the Federal Government’s appreciable efforts in combating the challenge of insecurity, it is imperative for Muslims to utilise the period to pray fervently for peace and unity in the country. He said, “We have just ended a month-long fast thus paving way for the Eid-el-Fitr celebrations. A file photo of Muslim faithful on a praying ground. He was, however, confident that ‘’hope is not lost” for Nigeria, despite the numerous challenges in the country. In his Sallah message to the Muslim community in Nigeria, Speaker Dogara enjoined them to sustain the lessons of Ramadan and replicate same in their daily lives for a better society. 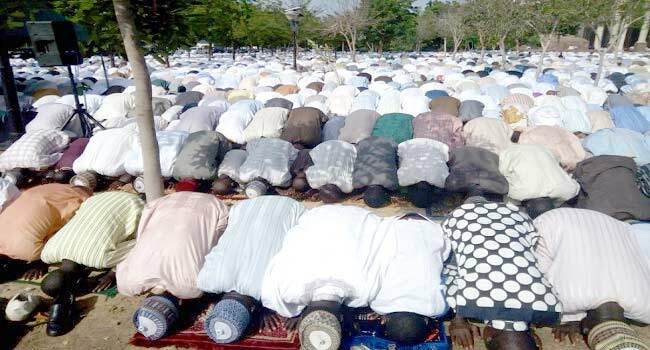 He further called on the Ummah not to be carried away by only the display of the Sallah celebration, but to use the occasion for sober reflection. Dogara also urged them to extend gestures and hands of support to the needy in the society, as well as to pray against the current security and economic situation of the country. He stressed the importance of peace, unity and tolerance amongst the diverse people of the country for the envisaged growth and development to take place, noting that the heterogeneity of Nigeria should be a source of strength rather than conflict. “As you join the rest of the Ummah all over the world to celebrate this year’s Eid el-Fitr, marking the end of the holy month of Ramadan, I enjoin you to replicate and demonstrate in your daily lives, the lessons and virtues of sacrifice, forgiveness, piety, self-denial, and genuine love towards one another which you learnt during the month-long fast,” the Speaker said. The lawmaker further asked Nigerians to pray for the leadership of the nation – from the president, Vice president, leadership of the National Assembly, governors to the local government chairmen and councillors, for God’s wisdom and understanding. He pledged the commitment of the House of Representatives to initiating legislative interventions to overcome the challenges in the country. Dogara also urged Nigerians, irrespective of their persuasions, to cement the bond of unity and brotherhood as a people of common destiny and contribute meaningfully in the quest for building a peaceful and united Nigeria.